Well folks. . . here it is our last box of the season! I can hardly believe it. Maybe because the late summer has been so sweet and gradual turning into fall. Should we do a storage crops option next year? Let me know what you think. Also, we're working on a survey. If you don't see it in your box, then you'll get it via email soon. I had a good Barter Faire. . . it was warm and there was little smoke, as it was a “no fires” year. 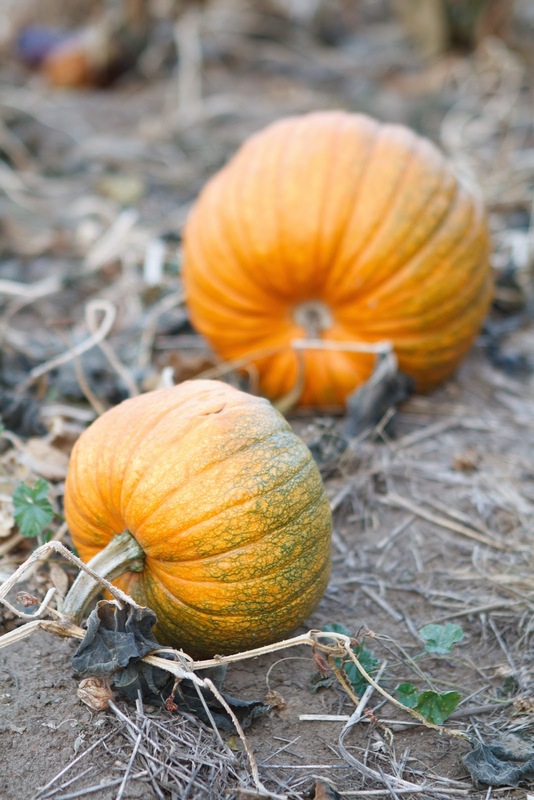 It was a sweet time and I sold and traded most of my garlic, shallots and pie pumpkins. I still have some, as well as celery, so call or email if you're interested. The celery is still out in the field, so you can get it super fresh! This Week's Box: 1/3 lb. bag of salad, a bit of cilantro (it's so sweet and tasty this time of year! 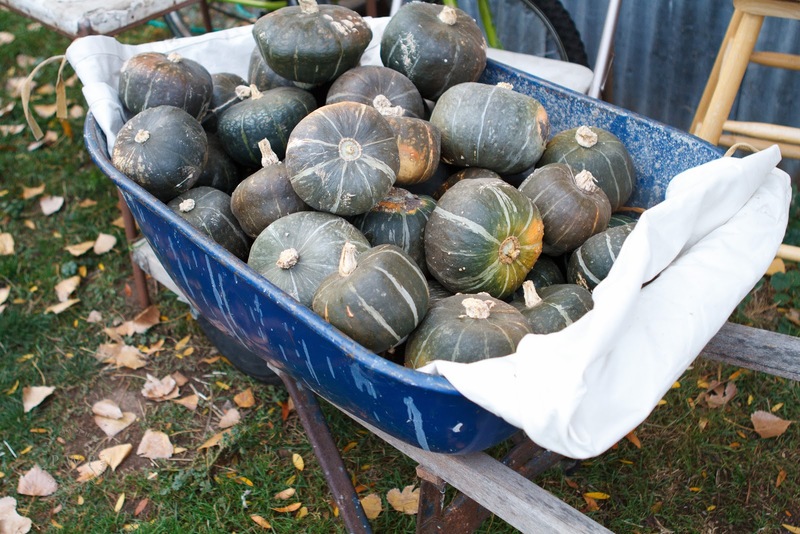 ), a full pound of shallots (grown from seed since last February), and 1 each of Buttercup – Delicata – and Honeynut Butternut Winter Squashes. The Honeynut is a small version of the classic butternut squash. All from 8th Street Greens. The Pears are Concorde from Bunny Laine and the Apples are Liberty from Filaree Fruit. 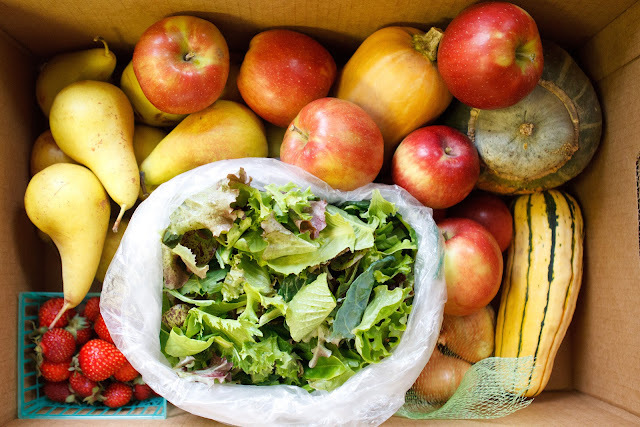 Large Shares: Extra Salad, Apples, Pears and Squash and some Strawberries. Fruit Shares: Concorde Pears, 2 lbs. Of Spitzenburg Apples from Filaree Fruit and Strawberries from 8th Street. For quinoa: Rinse quinoa; drain. Melt butter with oil in large saucepan over medium heat. Add onion and carrot. Cover; cook until vegetables begin to brown, stirring often, about 10 minutes. Add garlic, salt, and turmeric; sauté 1 minute. Add quinoa; stir 1 minute. Add 2 cups water. Bring to boil; reduce heat to medium-low. Cover; simmer until liquid is absorbed and quinoa is tender, about 15 minutes. *A grain with a delicate flavor and a texture similar to couscous; available at natural foods stores. Does not need to soak first. Also, it's high in protein! Celery plant are well mulched and looking fantastic! Peppers enjoy the morning sun after spending cozy growing time under row cover fabric. 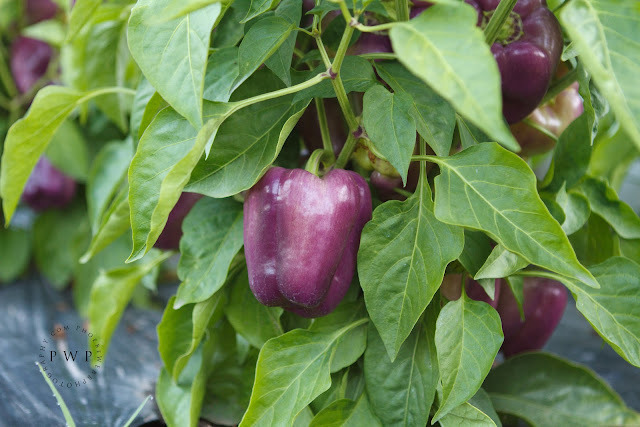 Pretty Purple Pepper Plants! Say it five times fast. One sweet red pepper hides in a plant of ripening peppers. Blossoms turn into green beans. 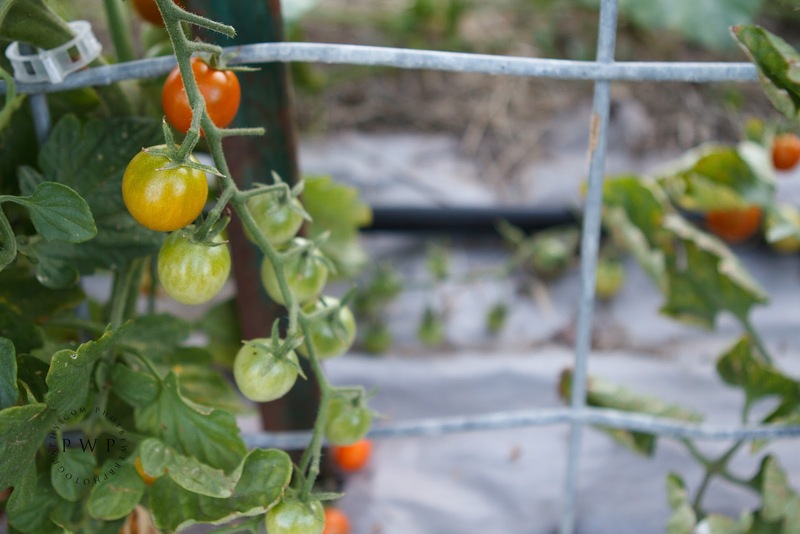 Cherry tomatoes ripen on sturdy hog wire fencing. Can you find the pie pumpkin? 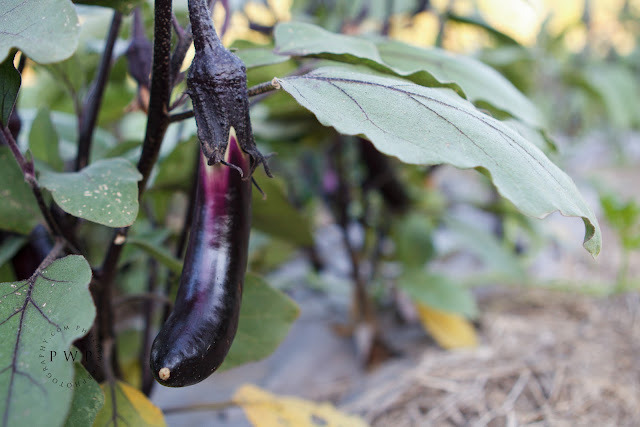 Japanese eggplant; a long, skinny relative of the plumper version. Good lookin' melons this year! From left: Summer squash, hot peppers, green beans, and leeks. What a variety of vegetables! 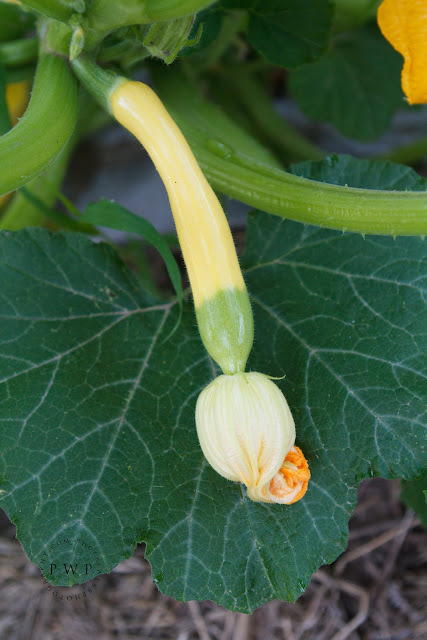 Try stuffed squash blossoms as a special dish this summer. 8th Street Greens truly is a family farm. 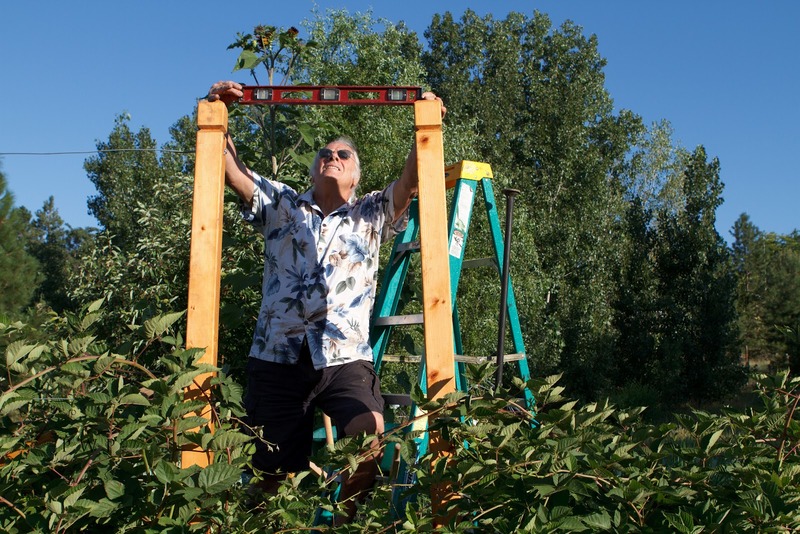 Walt, Shannon's dad, builds a trellis for the blackberry bushes that originated from Shannon's grandpa. Summertime! and the livin' is busy! Greetings Folks! Here we are with our 11th box of 2012, almost at the middle of the season already! 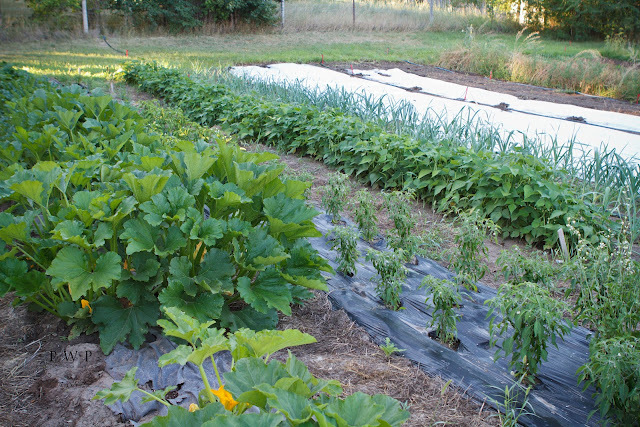 Here at the little farm I'm feeling proud about some crops we're accomplishing. 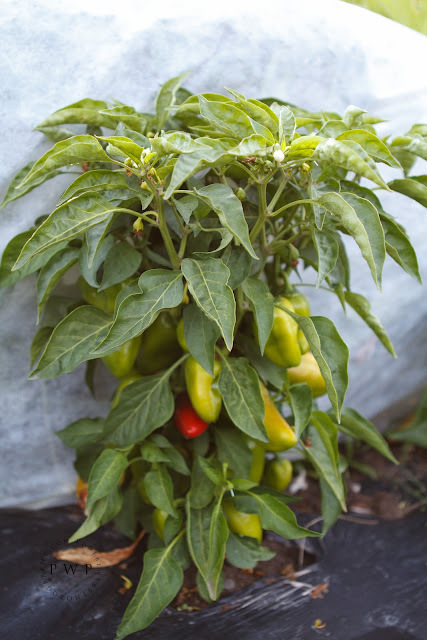 Our sweet peppers are doing well and producing on schedule, early compared to most home gardens who don't have season extensions. The hot peppers are ripening as well. 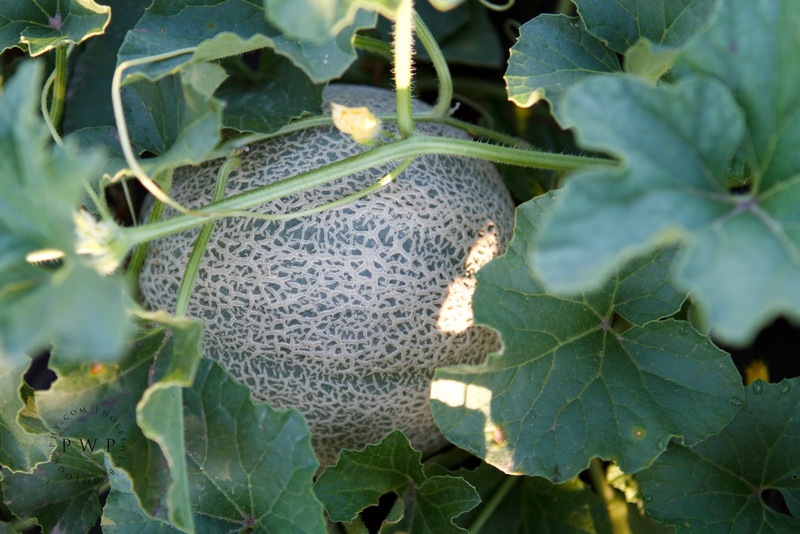 And the melons are forming up nicely. 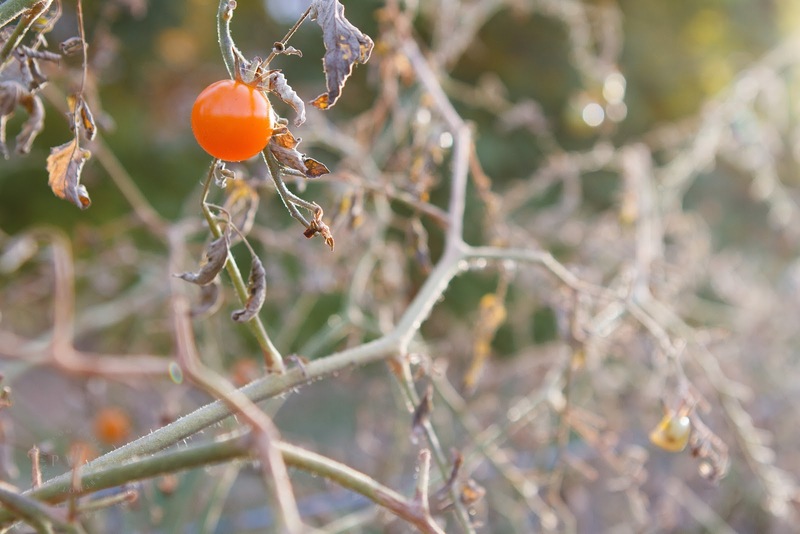 Our tomatoes seem to have taken a break from the ripening trend they were on, but they'll be back soon! For now, we have little bits of our crops or you've already received a couple of times. Like eggplant, which the Tonasket Co-op bought! Cucumbers, which Glover Street Market bought. 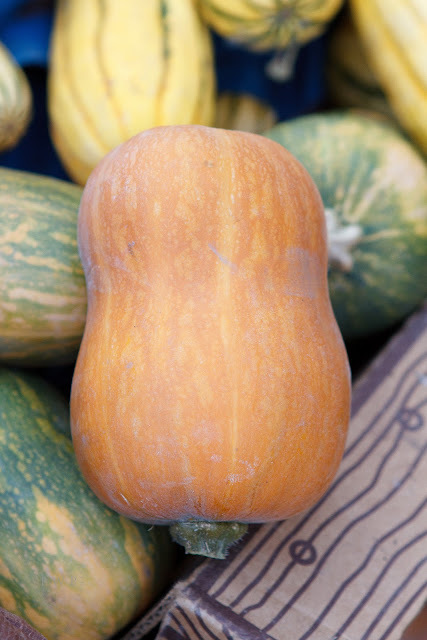 Summer Squash, which Arrowleaf Bistro bought. Some of you bought our green beans and cilantro and basil. I'm so grateful, because we really don't want to have to sell at Farmers Market. That would make the busy farm work 6 days a week and it seems like our little kids wouldn't want us to do farmers markets. They still like lots of our attention, and if they were at market with us they would run around all crazy and disappear and climb high in the trees and play at the river. 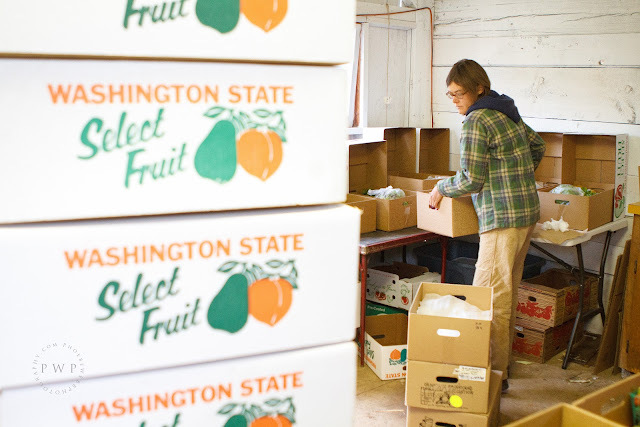 . . so, we'll keep focusing on wholesale and CSA. Those crops I mention will be in your boxes soon, and we'll continue to be grateful for the stores and restaurants who buy from us as well. And, we'll be using the technique of giving ½ of you one food and the other ½ the other food, then flipping the provisions for the next week. Have you received any emails from me? If not, please email me your address and I'll add you to the CSA 2012 List, that way you'll know what food is available for preserving/events or you'll get a newsletter update as necessary, etc. Thanks! 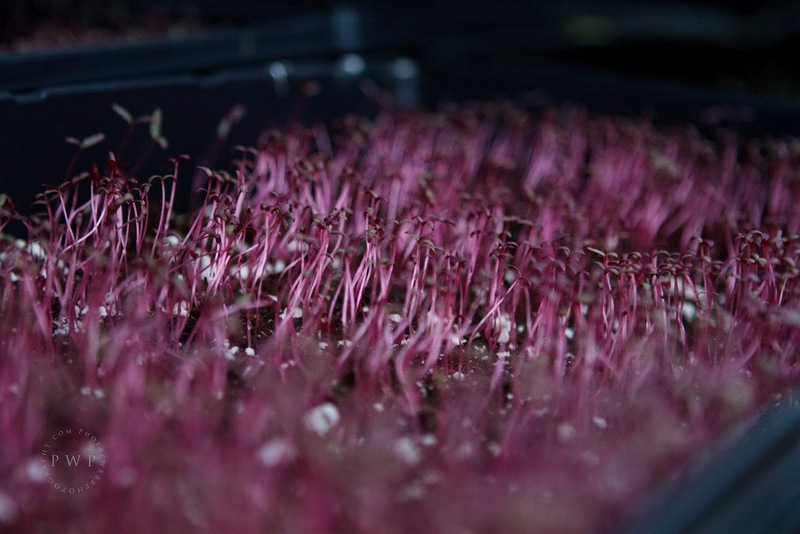 Micro greens are an exciting new crop for 8th Street Greens this year! Shannon gently removes the seedpods from the sunshoots. These are stunning Amaranth shoots. Micro greens are kept under shade cloth so they stay nice and tender! Cheese Shares: enclosed is a note from Clare of Larkhaven Farmstead Cheeses about proper care of your cheese. We forgot to put it in your box last week, but here ya' go anyways! It's handy info. For future reference, anyhow! Bread Shares: How about that fresh, soft Ciabatta loaf last week? I went crazy eating slabs of it with chevre or butter, salted tomato slices, and loads of basil! Whew! That's a flavor I wait for all spring. . .! Egg Shares: best vitamins ever, right?! I've been lovin' sauteed summer squash with butter and thyme, then crack in an egg and stir it up. Yum! Or cabbage sauteed with herb of choice and some curry, then crack in the egg and spray it with Braggs or soy sauce. Different Yum! Last week Big River Breakfast made a summer squash egg wrap with tomato, mozzarella and basil. Squash and basil from us! Good Eats! Thanks to Julie for educatin' and providin'!!! 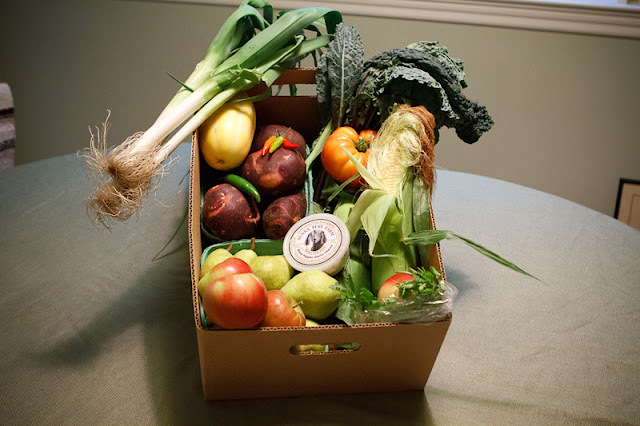 This week's box: Original Salad 1/3 lb, Kohlrabi, Famosa or Parel Cabbage, ample Bag of Cilantro, 2 Leeks, 2 Bulbs of Fresh Killarney Red Garlic, and 1 Hungarian Hot Wax Yellow Pepper: all from 8th Street Greens. 1 little bunch of Carrots, from Yonder Farm (it was going to be Snow Peas from them but they got lower yield this week than expected and the hail damaged a lot of them). The Early Star peaches are from Applecart Fruit of Tonasket, Organic. And the Large Shares got Green Beans. Fruit Shares: The peaches are Early Red Havens from Filaree Fruit. He's providing Fancy Grade for us. He said he'd have some fancies despite the hail, yaaaay! He also got lots of 2nds and canner grade this week because of the hail, please call him at 846-3480 for ordering details. 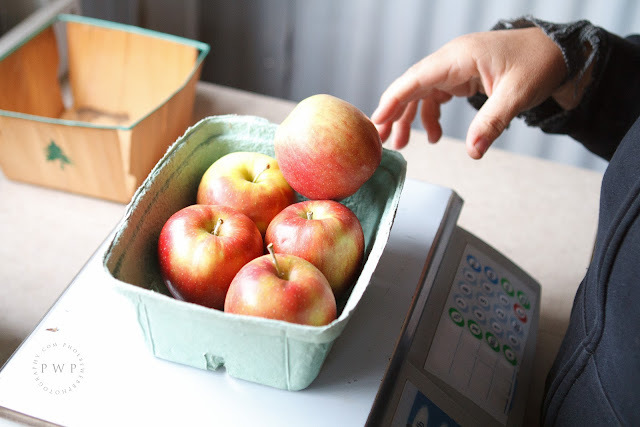 The Apples are Vista Bella, J.C.'s first summer apples. The berries are Black Raspberries. I ordered Blackberries. Oh well! Next year I'll have lots of blackberries producing for all of you! Cabbage keeps well, so put it in your produce drawer and save it for later if need be. You'll get cabbage one or two more times. The garlic is fresh, not cleaned or trimmed. I thought it'd be fun to share the garlic the way we get it, so super fresh. You'll notice a different smell and that it's a different way of peeling it. The skins of bulb and cloves are not yet cured, so they are still soft and alive feeling, plant-like. Garlic is Medicine and delicious! Check out 8th Street Greens' new Facebook page! There are some great photos of the farm in action! A greenhouse at Yonder Farm houses some succulent heads of lettuce. Cress is the lighter green plant on the right. 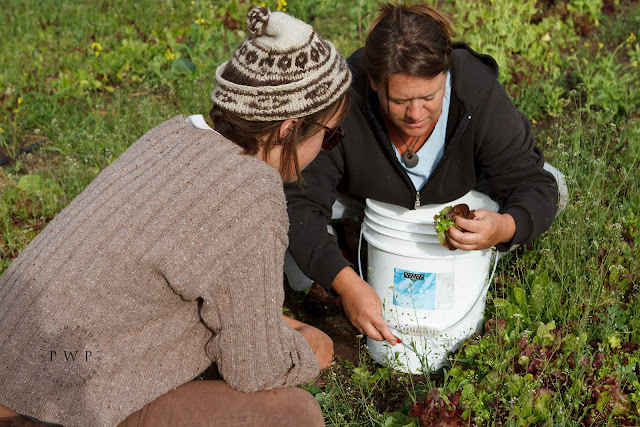 Shannon shows Hayley the ropes of harvesting those delicious greens. 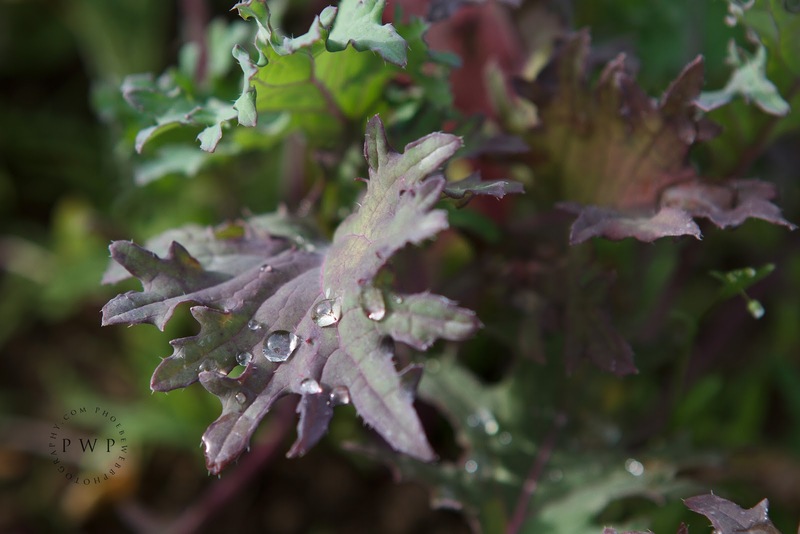 Kale soaks in the morning dew on 8th Street Greens. Greetings from this rainy 6 a.m. morning, coffee beside me, wondering if the crew and me can pull out of the eastside of the mountains attitude of being like cats, regarding working in the wet. . . The weeds don't stop growing and they've doubled their size since last Thursday. 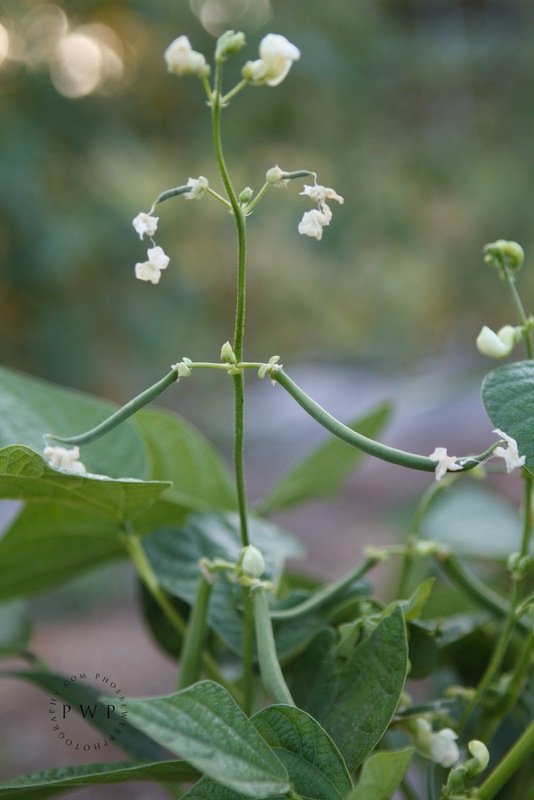 Super tall sugar snaps are in bloom and awaiting more trellis for all their fine tendrils to grab onto. 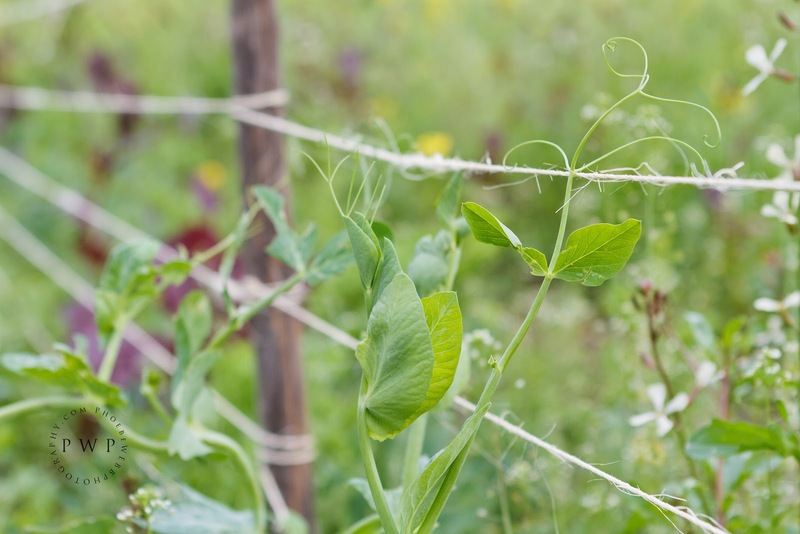 Saw some baby peas yesterday, white blossoms contrasting with bright hot pink red radiant seed buds of the bolted Bordeaux spinach. Tall sugar snap peas, grabbing onto their trellis. This week's box may not be all the splendor of last week's but there's some darn good eats in there (so long as harvest goes as planned. I'm skeptical of whether the sunshoots will be tall enough for harvest). 8th Street Greens' herb salad blend hits the streets this week!!! There is basil afoot, and we're gonna eat it and be aromatherapy-d!!! It's an anti-depressant, you know. The only place for the herb salad this week is the CSA and the Okanogan Bakery. Speaking of, if you're about Okanogan and needing an awesome sandwich, check it out and mention the yummy-ness of our salad on their sandwiches. They're under the impression that folks around here don't care what's on the sandwich, iceberg or whatnot. It'd be a good morale boost for some of us to say otherwise. I was really excited, thinking we'd have super early tender carrots from Yonder Farm in the box, alas they did not grow well and most of us must be patient for a few more weeks. Large shares DO get some carrots, tho! So everything is from 8th Street: a bag of Sunflower Shoots (if there's not enough you'll get Wrinkled Crinkled Crumpled Cress), rinsed twice; a head of Bok Choy rinsed once; a bunch of Dill, dunked once; a bunch of Radishes, rinsed; half of you get garlic scapes (already!? It seems early to me), and half of you get a Japanese Broccoli bunch (2 types per bunch: the deep red is Hon Tsai Tsai, the green is Happy Rich). Next week, we will switch so you'll each get the other item. Please visit Edible Seattle, May 2012, “Demystifying the Mysterious World of Asian Greens” for an awesome read and some recipes. It was confidence boosting for me to read this article, as there's only a couple of growers I've met around here who dabble with the Asian greens and try to sell them. I love the greens, but it's a pathway in public education I'm leading. 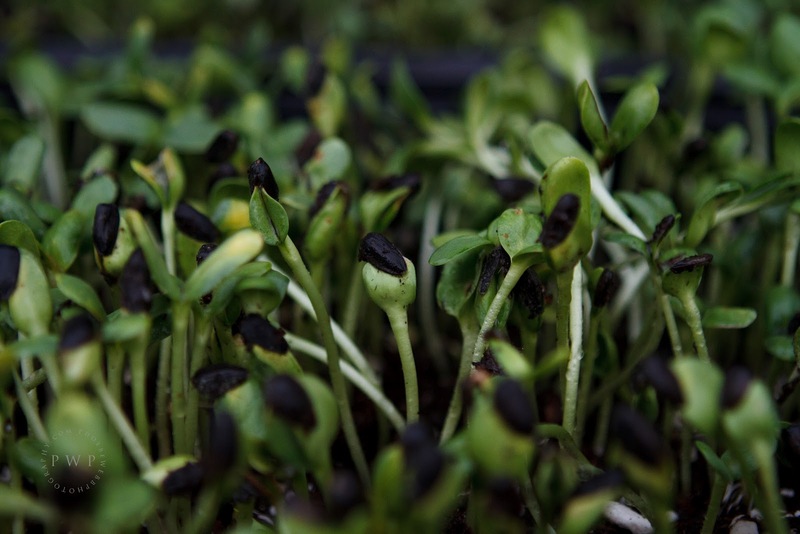 The journalist actually wrote about Hon Tsai, “It has small compact sprouts that are often sold just as it begins to show yellow flowers, when the plant is at its sweetest. 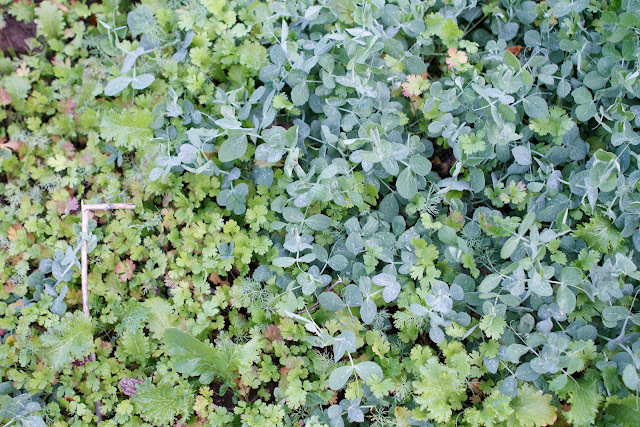 The entire plant is edible.” Mizuna, Yukina Savoy, Pac Choi, etc. To use the garlic scapes, chop fine or leave long, saute or stir-fry. Or, puree and make a little pesto or dressing by drizzling olive oil and sprinkling salt. Maybe add some balsamic vinegar. I like keeping them in a jar with a little water, on our kitchen counter. The sunshoots are to top a salad, eat plain as a snack, garnish a soup, or use on a sandwich or wrap. 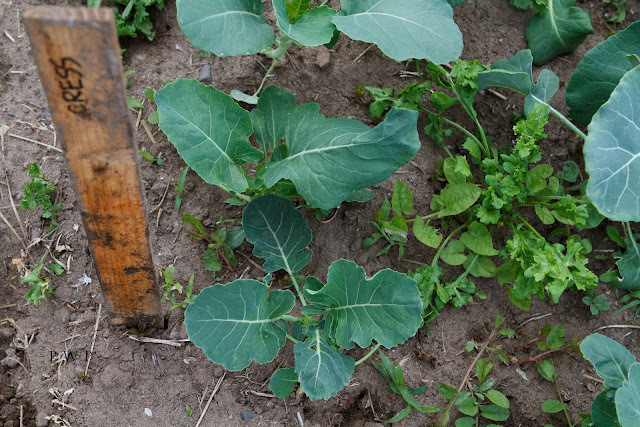 We've been enjoying the early broccoli shoots raw. They've been sweet. Last night we had them as a last addition to miso soup and the night before, in a stir-fry with rice and local grass-fed bison meat. Today is March 27th. We're feeling springtime real strong now and are excited for this 2012 season! 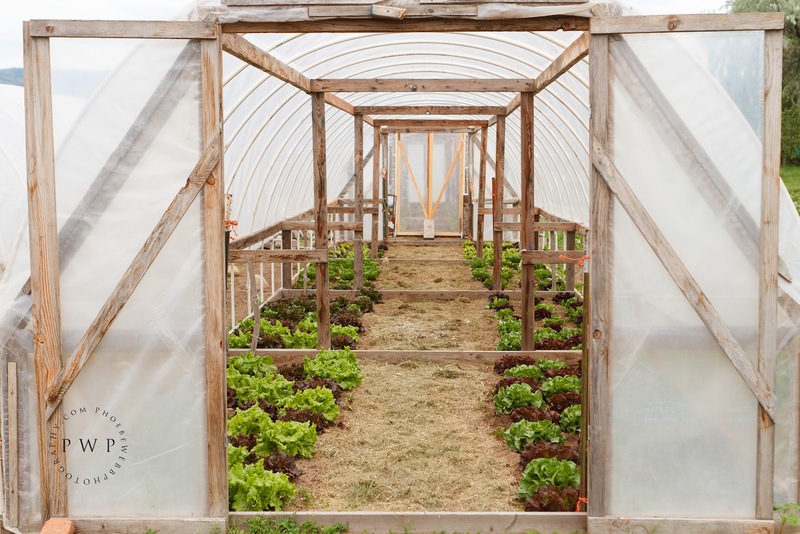 A big part of this time of year for 8th Street Greens is anticipating CSA sign-ups. An 8th Street Greens full share box with cheese option and extra fruit option from Fall 2011. 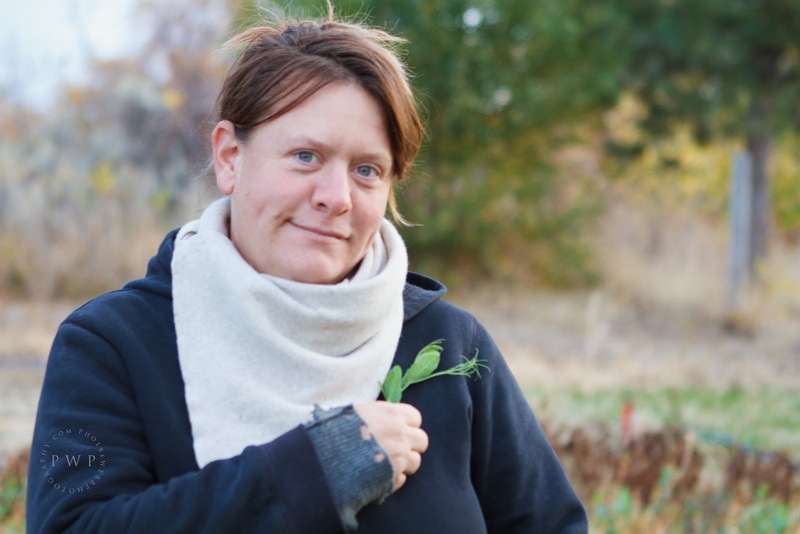 To receive a printable CSA brochure/sign-up form by email, or to receive a paper brochure in your mail/post office box please contact me at eighthstreetgreens@yahoo.com or by phone at (509) 422-1620. I have just blanketed the Okanogan County with brochures, so you might see one about town. Also, I'm letting everyone know that I can take food stamps this year! 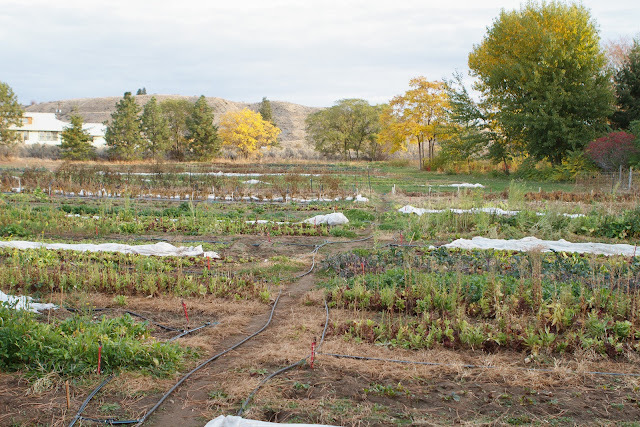 Our listing at localharvest.org has a thorough description of the CSA, including pricing info. The Local Harvest site is an excellent tool for us farmers and customers. Shannon tills the soil with her Ferguson tractor. We started planting seeds for starts in the greenhouse in early March. That was a glorious winter day, snow falling and hundreds of robins singing about it, whilst I in the greenhouse planting sweet peppers, spicy peppers, tomatoes, shallots, leeks, eggplant, and sweet peas. Those are all up now and some are ready to be transplanted into bigger pots! 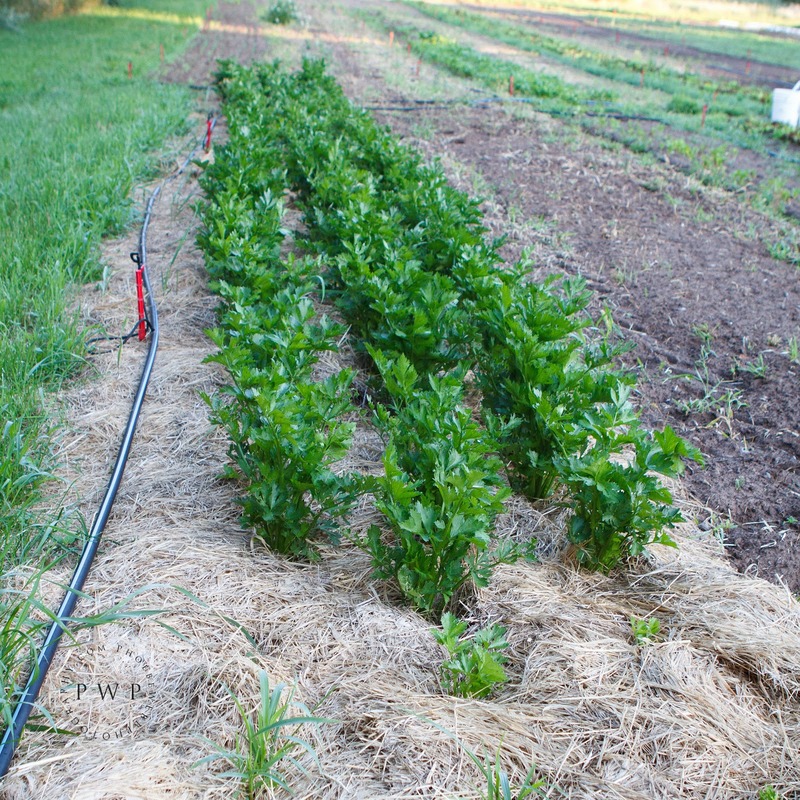 The photo below show the fields planted with seeds of sugar snap peas, 4 kinds of spinach, myriad green and red lettuces, hardy greens like chard, kales and bok choys, and the spicy mustards and some herbs. They are all tucked in under their blankets, looking forward to the rain that'll happen this week! Yes, folks, delicious salad greens will be in their glory in a handful of weeks!!! 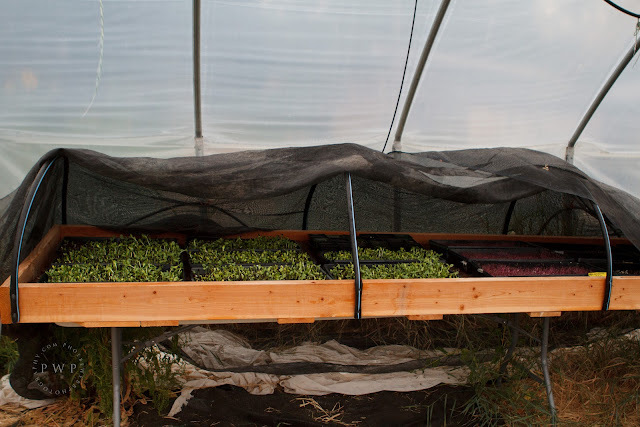 Many more flats have been planted in the greenhouse. 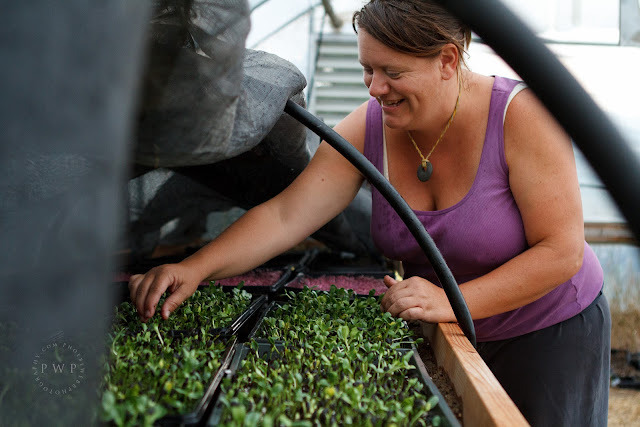 Several types of cabbages, Happy Rich greens for broccoli florets, Shanghai Green for a baby type of Pac Choi, cilantro, dill and basil, De Cicco broccoli, and more flats yet to seed. 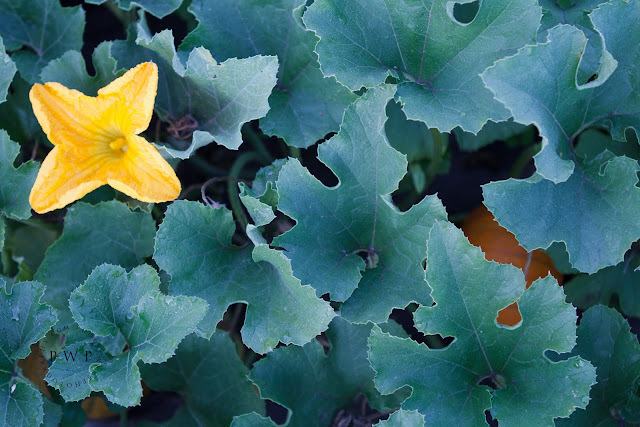 Their sweet little heart shaped leaves reach out to the sides like a hug to the sky and sunshine that they love. Their roots are warm, resting in the heat boxes and their leaves are enjoying the cool spring air. Today is January 26th of the new year! Greetings blog spot visitors and potential 2012 CSA Shareholders! 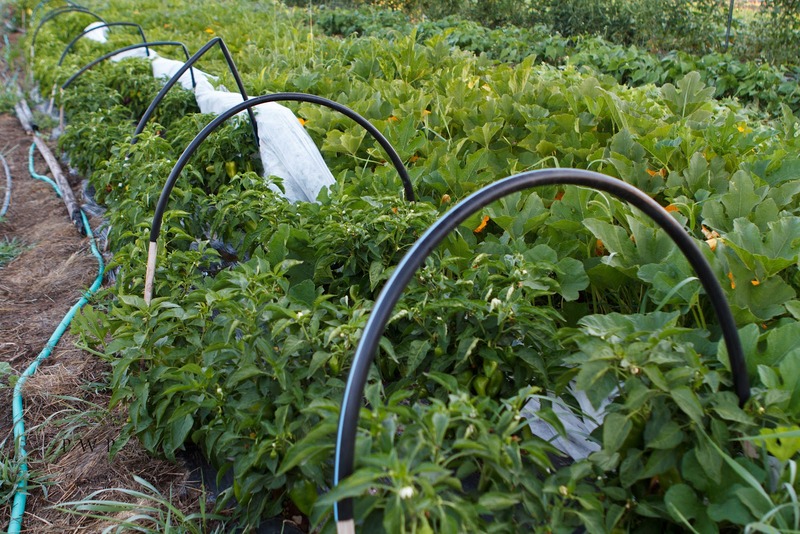 Thank You for taking the time to check out our farm via this interweb tool! 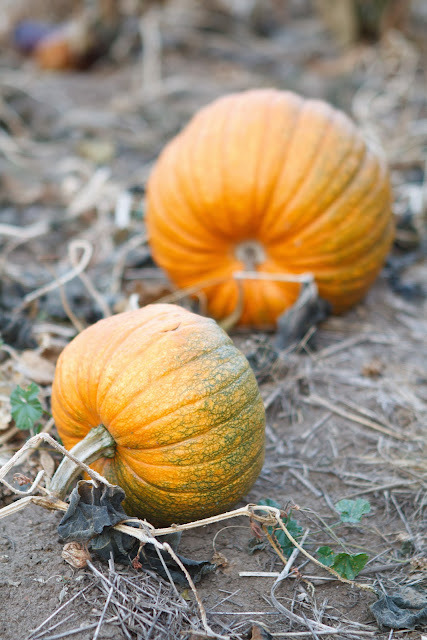 As you scroll through our 2011 posts you will begin in October, with our last photo shoot and 23rd box, the farm mascot of the week being Sugar Pie Pumpkins. You will finish in Springtime, with our 1st box of the season touting Greens glorious Greens! Thanks Again and please feel free to call me! I still enjoy conversations and handshakes more so than any other communication! 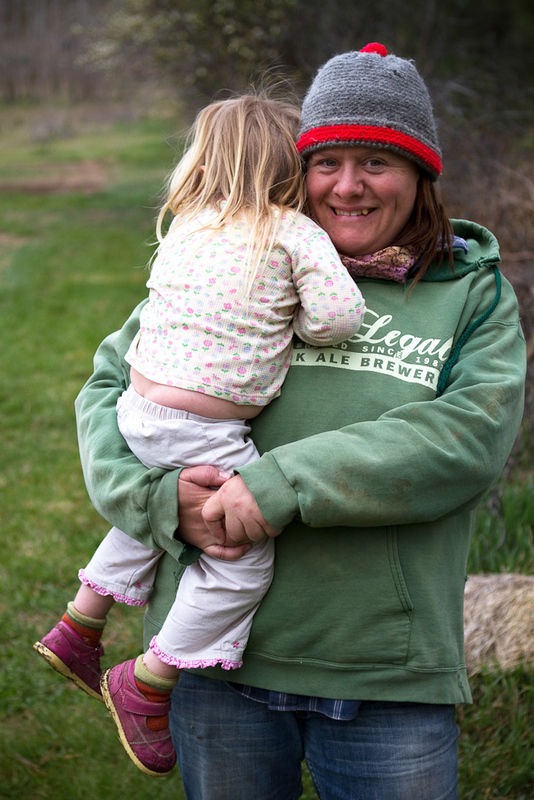 Your farmer, Shannon Gilbert, and her daughter, Iris, in 2011. "Locally Grown the Healthy Way"